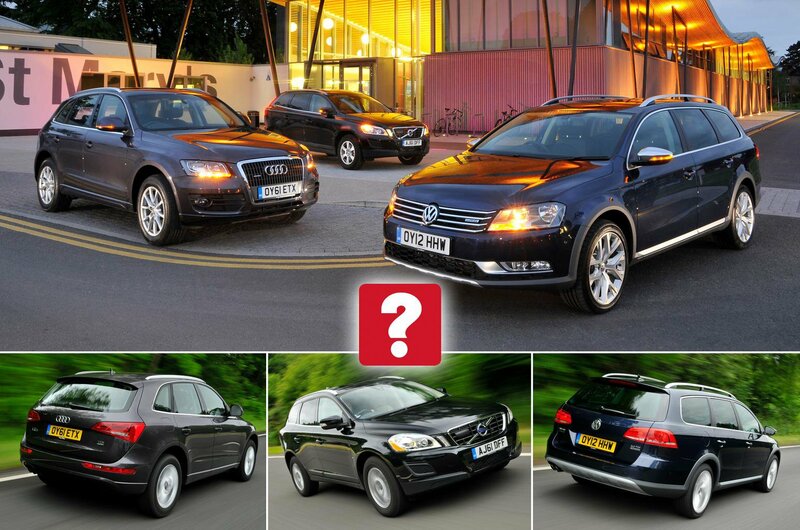 Used test - SUV vs estate: Audi Q5 vs Volkswagen Passat Alltrack vs Volvo XC60 | What Car? Volvo is better known for its estates than its SUVs – so does the XC60 offer the best balance between the two? Do you really need an SUV? Many family car buyers have been attracted to these high-riding 4x4 cars, and understandably so – they offer a commanding driving position, a practical, spacious interior and a go-anywhere image. But the role of a large family car has traditionally been filled well by large estate cars. Are they really redundant? And is a used SUV in fact better-suited to the role? To find out, we’ve enlisted one of Britain’s favourite used family estates – the Volkswagen Passat. And to give it a fighting chance, it’s here in Alltrack trim – which means it has a taller ride height, four-wheel drive and plastic body cladding to help it deal with all but the most extreme challenges you might happen upon while out on the road. But because it isn’t a fully-fledged SUV, it’s still cheaper to buy and to run, and should be more car-like and less top-heavy to drive. But the Passat will have a tough challenge: in the SUV corner is the Audi Q5, one of the more upmarket large SUVs on sale and incredibly popular with used buyers. It's considerably more expensive than the Passat, but it’s also a proper, fully-fledged SUV with all the go-anywhere ability that entails. Then there's the Volvo XC60. It’s another proper SUV, but it comes from a car maker more normally known for its estates, meaning its ethos should sit somewhere between the Passat’s and the Q5’s. Its price certainly does, so this might just be the best compromise between SUV and high-riding estate – but then again, you know what they say about the jack of all trades. The XC60 is the heaviest car here, but you’d never know it. Its extra power and torque – both developed lower in the rev range than in its rivals – make it much quicker than the Q5 and Passat Estate. 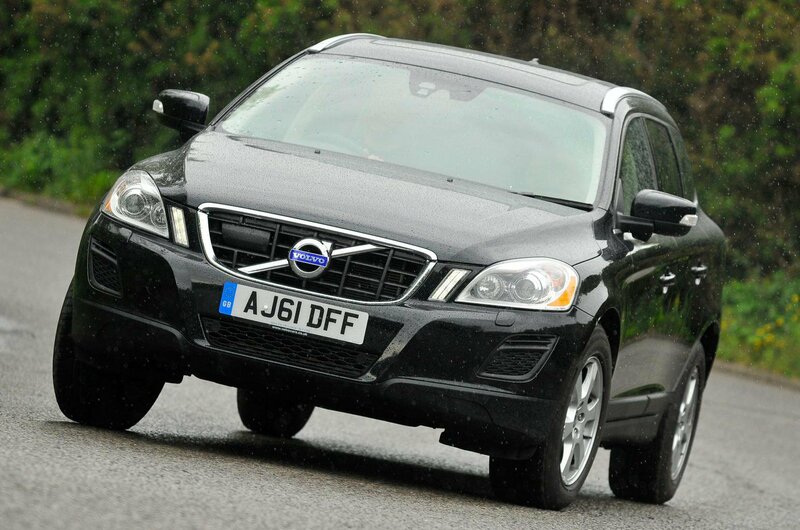 What impresses is not simply how fast the XC60 will go, but how little effort it takes to get going that quickly. As a result, the Volvo is a thoroughly relaxing car to drive, and you can often use its engine’s sheer strength to haul you around rather than resort to changing down a gear, as you do in the other two cars here. Admittedly, neither the Audi nor the Volkswagen are disgraced, because their engines (which are actually the same basic unit) are also strong and give reasonably flexible performance. The Q5 just edges ahead in the higher gears, when the longer, economy-focused gears of the Passat take their toll on ultimate performance. It’s not just on grunt that the Volvo leads the others; it’s also the quietest and has the most comfortable ride. The double whammy means that if you were planning a long motorway ride in one of these, you’d choose the Volvo every time. 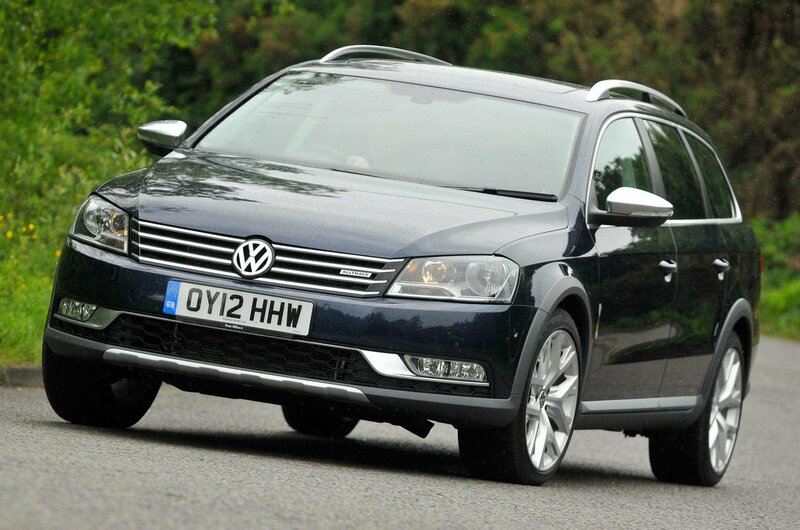 True, its ride isn’t perfect – it still picks up on some larger lumps – but it’s streets ahead of the Q5’s and Passat’s. The ride deteriorates with speed in both German cars; the Passat feels particularly unsettled on the motorway compared with the Volvo, and the Audi struggles to cope with bumpy British B-roads. 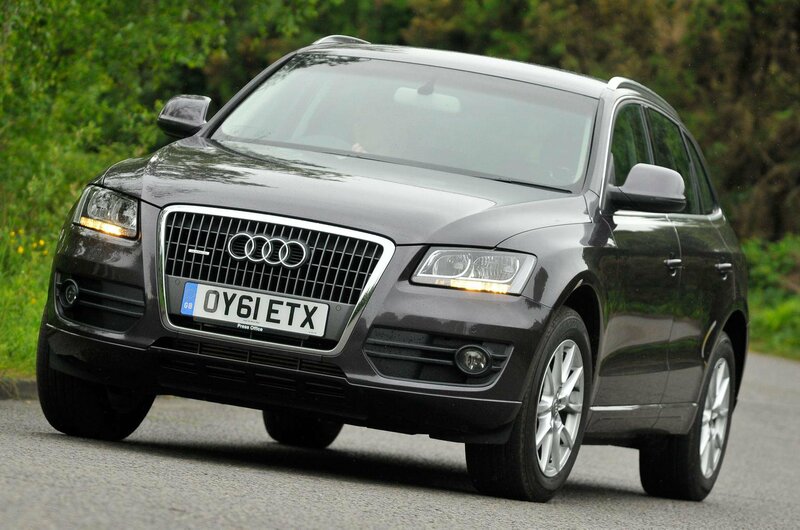 The Q5’s steering is also a disappointment, weighting up unpleasantly at speed. Meanwhile, both it and the Passat generate too much noise on the motorway, while the engine in the Audi has a nasty rasping note that soon becomes grating. The one area where the Passat scores is that it handles much more like a conventional estate car. With its lower centre of gravity, its body leans over far less in bends than the two SUVs. If you spend plenty of time in town, you’ll also appreciate the Passat, because its smaller turning circle makes it easier to manoeuvre. Most awkward is the Volvo, with the largest turning circle and thick pillars that limit your view out.